Dutch car magazine 'Autovisie' (Dutch-alert!) quotes Laurens van den Acker, Renault's design-chief. Although he states that it's design is finalized (not necessarily the one above!) he also mentions keeping his fingers crossed daily. Reason? Renault is still 'working on it's business case' and a definitive 'go' has to be given yet. He's hopeful for having one in his own garage in a year of two. And he hopes that everyone who wants to, actually buys one. Van den Acker is confident that the sports car will be produced, but knows it's a "difficult story" as it is a model for a small target with low production volumes. 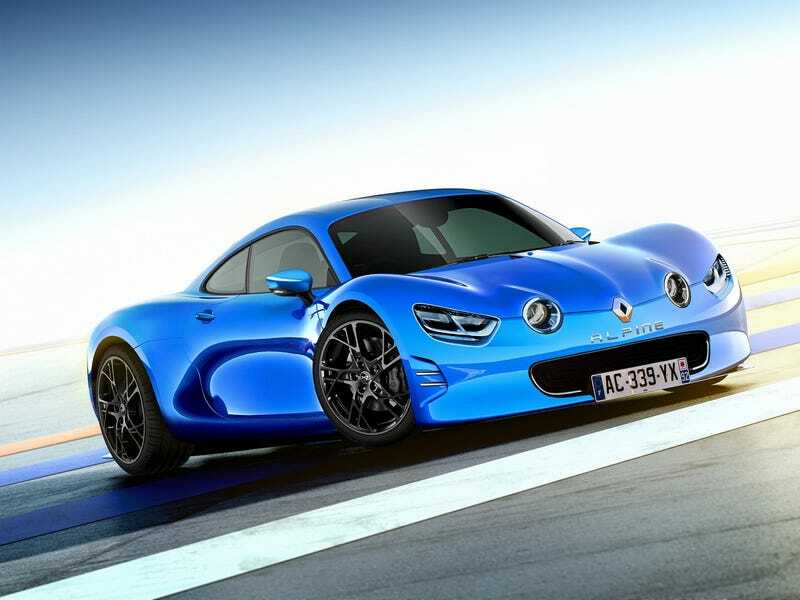 Renault expects to make 3000 Alpines a year! The Alpine Vision GT ended up FP yesterday, but other French news from Dieppe was neglected!